The Get Smart project educates young people and communities about get abuse, and promotes halachic prenuptial agreements as an integral ritual in Jewish marriage. WHAT IS THE GET SMART PROJECT? The Get Smart Project is a unique national initiative educating Orthodox teens and raising community awareness about healthy relationships and the halachic prenuptial agreement. The goal is to normalize use of the halachic prenuptial agreement, prevent get abuse, and encourage healthy relationships. The Get Smart Project is reaching thousands of teens in Orthodox high schools across the country. It’s never too early to start learning about healthy relationships – with family, friends, and a future spouse. Many teens are already thinking about their futures, including dating and marriage, and guidance from parents, educators, and rabbonim is key to preparing for these important life decisions. 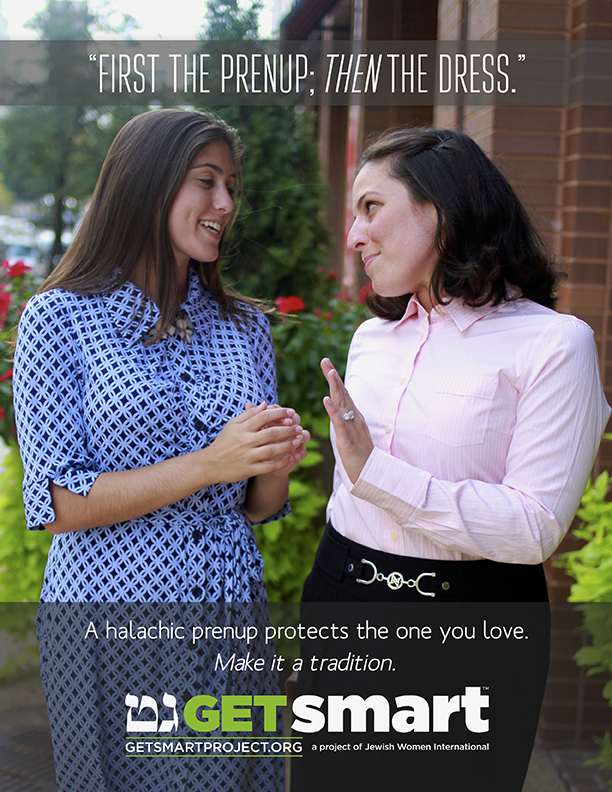 By educating Orthodox teens on healthy relationships and the halachic prenup, the Get Smart Project starts the conversation early, so teens have the tools to make informed choices. WHERE IS THE PROJECT HAPPENING? The project is being piloted in Orthodox high schools in New York, New Jersey, Florida, Illinois, and Connecticut... and the list keeps growing! To bring the Get Smart Project to your community, please contact Deborah Rosenbloom at drosenbloom@jwi.org. 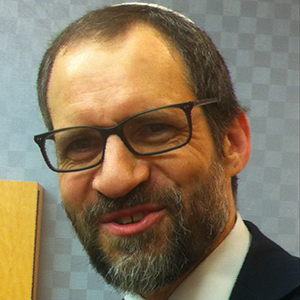 Rabbi Michael Bleicher, LSW, is a clinician and outreach coordinator for Project S.A.R.A.H. (Stop Abusive Relationships At Home), a statewide program that works to overcome cultural, legal and religious barriers confronting victims of domestic violence and sexual abuse. A graduate of Yeshiva University’s Wurzweiler School of Social Work, he has experience working with clients struggling with ADHD, anxiety, depression and trauma. He also serves as the rabbi of the Elmora Hills Minyan in Elizabeth, New Jersey. Rabbi Jeremy Stern serves as the executive director of the Organization for the Resolution of Agunot (ORA), an international nonprofit organization which advocates against the abuse of the get (Jewish divorce) process. 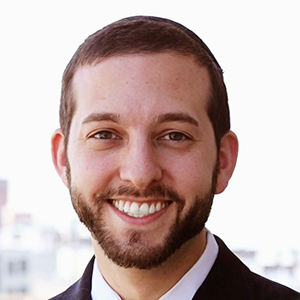 Rabbi Stern received a B.A., a master’s in Jewish education, and rabbinic ordination from Yeshiva University, and a master’s in public administration specializing in nonprofit administration from Baruch College. The staff at ORA has assisted in the resolution of over 250 contentious agunah cases since the organization’s founding in 2002. Rabbi Stern has served as ORA’s executive director since 2009 and lectures frequently on issues of domestic abuse, the interplay between the Jewish and American legal systems, and the role of the Jewish community in preventing and counteracting get-refusal. 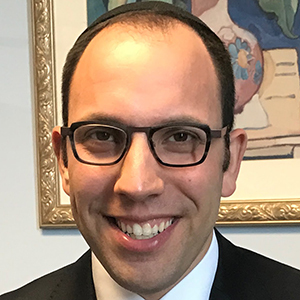 David M. Rosenberg serves as coordinator of Jewish educational servicesat Jewish Child & Family Services in Chicago and in this capacity directs the JCFS Therapeutic Yeshiva. He also serves as the agency's Orthodox community liaison. He has taught classes in Jewish history, Bible, and Kabbalah for the Florence Melton School of Adult Jewish Learning at various sites in Metropolitan Chicago for more than a decade. He is a member of the Chicago Rabbinical Council, the Chicago Board of Rabbis, and the Clergy Task Force of Jewish Women International. David received his BA in Russian and East European Studies from Yale University and a master’s degree in Bible and rabbinical ordination from Yeshiva University. He is an alumnus fellow of the Wexner Graduate Fellowship. He leads and plays clarinet in DRE, a jazz quartet with Jewish roots. HOW DOES THE HALACHIC PRENUP SUPPORT A HEALTHY RELATIONSHIP? The halachic prenup allows a couple to affirm their commitment to treating each other with respect and compassion, no matter what. When you sign a prenup, you are starting your marriage as equals. One person doesn’t have power over the other – you are partners, building a healthy Jewish home together. I WOULD NEVER WITHHOLD A GET. WHY SHOULD I SIGN A PRENUP? No one starts a marriage planning for it to end. But we know that it happens – and divorce can be a painful and difficult process. We can’t always predict how we will act during tough times in our lives, and divorce can cause people to lash out in unexpected ways. By signing the prenup, you commit to always treating your spouse with respect and compassion, even in the most difficult circumstances. And, you help build a community standard that increases awareness and acceptance of the halachic prenup, helping to prevent future cases of get abuse. 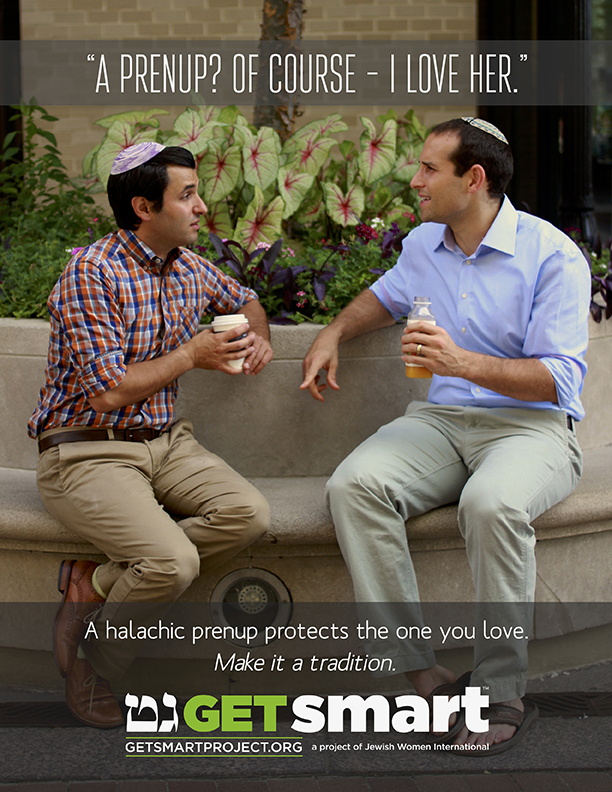 Even if you think you would never need the halachic prenup, someone else will. That’s reason enough to sign right there! HOW DOES SIGNING THE PRENUP HELP MY COMMUNITY? Kol Yisrael arevim zeh b’zeh - as Jews, we are all responsible for one another. In order to effectively prevent get abuse, we need to establish a community standard and normalize use of the halachic prenup. When you sign the prenup, it makes it easier for another person to do the same – and when all couples sign a halachic prenup, our community will be safer and stronger. THE HALACHIC PRENUP IS NOT PART OF OUR JEWISH TRADITION. Actually, the prenup is consistent with halacha and Jewish tradition. Halacha recognizes that, sometimes, a marriage is not working and needs to end. The prenup is a simple and effective tool to ensure that the halachic divorce process can proceed in a respectful and compassionate way. The halachic prenup was introduced twenty-five years ago, and has since been adopted by many prominent rabbanim. It enforces the halachic support obligation contained in the ketubah – the Jewish marriage contract that is read under the chuppah. The Rabbinical Council of America requires its member rabbis to use a halachic prenuptial agreement at all weddings they officiate. JUST LIKE YOU WOULDN’T GET MARRIED WITHOUT A KETUBAH OR A CHUPPAH, DON’T GET MARRIED WITHOUT THE PRENUP! The halachic prenuptial agreement is a legal agreement which goes into effect in the event of a contested Jewish divorce, and is an effective tool for preventing get abuse. In Jewish law, when a couple divorces, the husband must willingly grant his wife a get (divorce document) and she must willingly receive it. In some cases, a man may refuse to grant the get, trapping a woman in a defunct marriage and preventing her from moving on with her life. Such a woman is called an agunah, a “chained woman.” Get refusal is increasingly recognized as a form of abuse which is antithetical to Jewish law and tradition. The ketubah, a central part of a Jewish wedding, outlines a husband’s obligation to support his wife in the event of divorce. But a ketubah is not enforceable in a civil court. The prenup allows for enforcement of the ketubah in cases of get refusal. By signing the prenup, the couple agrees to appear before a specific beit din and follow its rulings about the get process. The prenup contains a financial disincentive to refusing the get: If a person fails to follow the beit din’s ruling, a financial obligation clause goes into effect, currently up to $150 per day ($54,750 per year). If a wife refuses to abide by the beit din’s ruling that she must accept a get from her husband, the contract is invalidated and the husband will not be bound by the support obligation in the prenup. The standard prenup can be accessed here. A reciprocal version of the prenup also applies a financial disincentive to a wife who refuses to abide by the beit din’s decision regarding acceptance of the get. The reciprocal prenup can be accessed here. DOES MY CITY/COMMUNITY HAVE ITS OWN VERSION OF THE PRENUP? Maybe! Some communities have their own version of the prenup which gives the local beit din(instead of the Beth Din of America) jurisdiction over the contract. For example, the Chicago Beth Din Zedek offers its own prenup here. Check with your local Orthodox rabbi or beit din to see if this is an option in your community. Yes. The halachic prenuptial agreement was developed by the Beth Din of America and is endorsed by prominent poskim including Rabbi Zalman Nechemia Goldberg, Rabbi Gedalia Dov Schwartz, Rabbi Ovadia Yosef, and Rabbi Osher Weiss. The Rabbinical Council of America requires its member rabbis to use a halachic prenuptial agreement at all weddings they officiate. WHERE DO I FIND THE PRENUP? You can find the halachic prenuptial agreement form at theprenup.org, a website operated by the Beth Din of America. WHAT INFORMATION OR DOCUMENTS WILL I NEED IN ORDER TO SIGN THE PRENUP? Both signers (chosson and kallah) will need to fill in their names and addresses on the contract, and then sign it. In most states, the prenup must also be notarized – witnessed, signed, and stamped by a notary public. You will both need to bring government ID (a driver’s license or passport) for the notary. In addition to the notary, your signatures on the prenup must also be witnessed by two people. As this is a civil contract, any competent adult can be a witness. Many banks, law offices, and UPS stores will have a notary on staff. If you are a customer of a bank, you can often use the notary services free of charge. 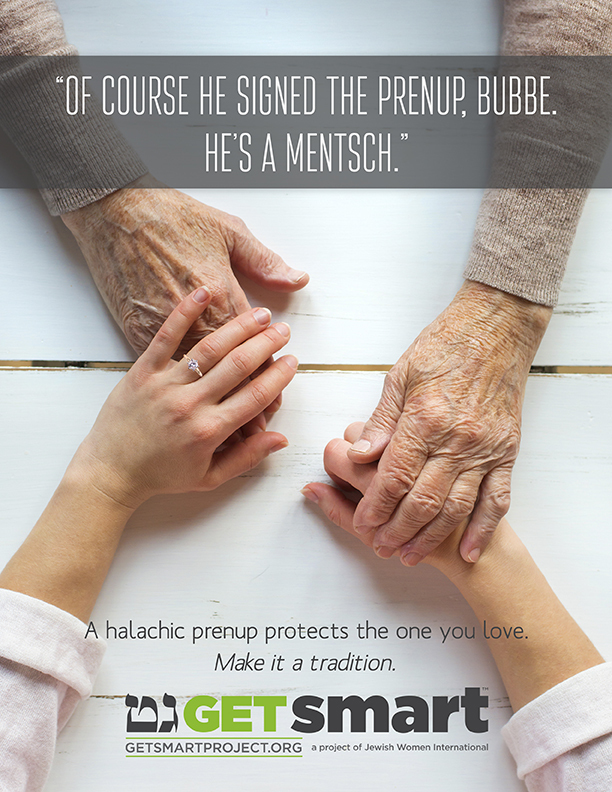 The halachic prenup is a civil contract, so any competent person over age 18 can be a witness. Your witnesses can be male or female, Jewish or non-Jewish. You will need two witnesses. WHAT DO I DO WITH THE PRENUP AFTER I SIGN IT? You should sign and notarize two copies of the prenup, one for yourself and one for your chosson or kallah, to be kept in a safe location. You can also electronically submit a copy to a prenup registry, where it will be kept on file for you at no cost. You can send your prenup to ORA and the Beth Din of America here, or just to the Beth Din of America here. WHEN SHOULD I SIGN THE PRENUP? It is important to thoroughly read and understand a legal contract before you sign it. We recommend that couples sign the prenup at a convenient time in advance of their wedding. Note: You must sign the prenup before signing your civil marriage certificate. This will be most relevant if you are planning to have a civil marriage ceremony before your religious ceremony. If you did not sign the prenup before signing your marriage certificate, you can sign a halachic postnuptial agreement instead. You can sign the prenup after receiving your civil marriage license. FOR MORE INFORMATION, VISIT ORA’S GUIDE TO SIGNING THE PRENUP. Tell us why a halachic prenup is important to you! "I insisted on a halachic prenup because my fiancee won't just be my wife - she'll be my partner." "My grandmother always taught me to think ahead and protect myself - even when things are going great." Rachel, 23, Los Angeles, Calif. THE GET SMART PROJECT IN THE NEWS!